How does this traineeship exactly work? 'This traineeship is called the International Aegon Analytical Academy (IAAA) and lasts for three years. The goal of the traineeship is to develop yourself in four broad areas: first of all, in the area of data and technology, in which one will learn how the right sets of data can be extracted from a database and how to process these data. Secondly, one will learn the techniques and methods to analyse the data, like the financial risk models and marketing models. Thirdly, the trainee will learn how a real impact can be made using the findings of the research. Last but not least, one will acquire a lot knowledge about the financial world, especially financial analytics. In the three years, one will start off with a bootcamp that lasts 6 weeks, and after that, a couple of training modules and projects can be chosen. The group of trainees is international, so one can choose to do a project abroad, at one of Aegon’s other locations, like Brazil, Singapore, Spain, the US, et cetera. One also needs to do two internships, of which one is in the Netherlands, and another one abroad. In this way, Aegon tries to create a link between all international analysts. Where do these people participating in this traineeship end up? Can you explain what Aegon exactly does as an organisation? Do you still use the quantitative models you learned in your Master? What is the most interesting project you did so far? 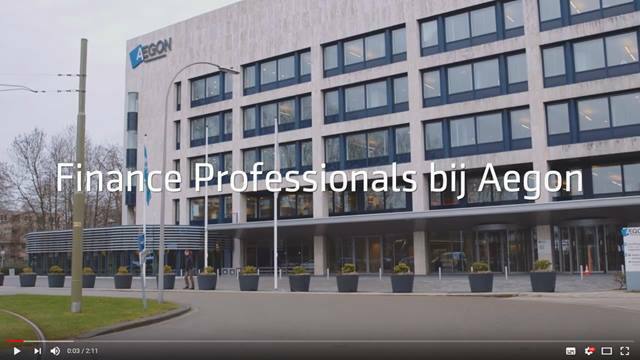 What is working at Aegon like? What kind of studies did your fellow trainees do? Do you have any advice for the current students who are reading this?